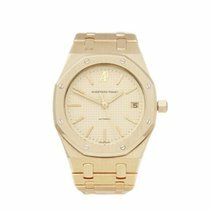 This is a pre-owned Audemars Piguet Royal Oak Offshore rubens barrichello ii gents 26078PO.OO.D018CR.01 watch. 42mm case size in platinum, blue baton dial on a navy blue crocodile strap, powered by an automatic movement. This Audemars Piguet is in excellent condition complete with box, manuals & guarantee dated 21st March 2007. Our Xupes reference is COM1903 should you need to quote this.